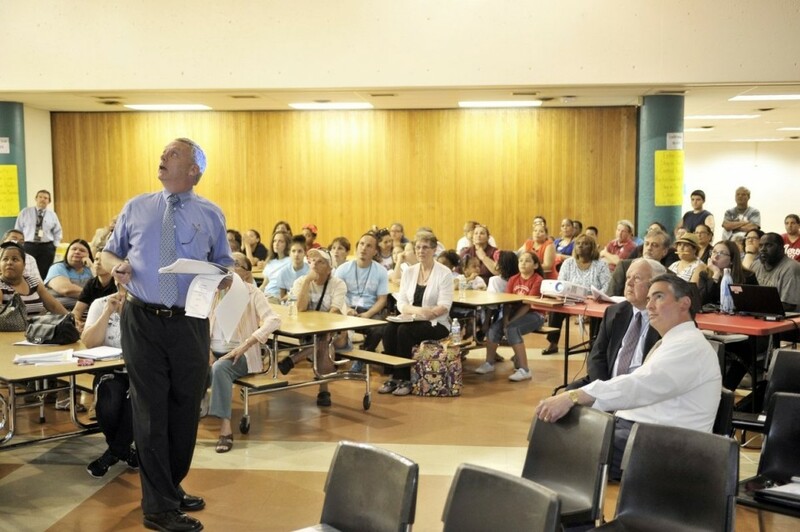 SPRINGFIELD — After Mayor Domenic J. Sarno said at a meeting last week that it is up to the state to release more than $3 million necessary to repair Gerena Community School, activists and parents are ready to take action. “We are fighting for our school and our community,” said Jafet Robles, an organizer for the statewide advocacy group Neighbor to Neighbor, ahead of a 6 p.m. meeting at the school Thursday. The meeting, which is open to the public, will feature a discussion with policy analyst Colin Jones from the Massachusetts Budget and Policy Center. “He is going to break down what the future of Gerena is in terms of what the costs would be realistically for a new school,” Robles said. Jones will also be sharing information on school funding across Massachusetts, how the budget works locally, and how to achieve educational success for all children in Springfield, Robles added. The meeting will include a discussion of evidence-based community programs that have made a positive difference for children and families. Robles — whose organization has joined a coalition with local grassroots groups including Women on the Vanguard, the North End Community Corporation, Inc. and the New North Citizens Council — said he hopes the community will attend the meeting. Those in attendance will have an opportunity to sign a petition asking Gov. Charlie Baker to address problems at Gerena, Robles said. Following a protest held at the school in April, the city said the state must release a $3 million bond for repairs to the federal highway bridge on Birnie Avenue. Those repairs are considered key to resolving long-term issues with water leaks in a pedestrian tunnel under Interstate 91 that serves many of the school’s students.